Please choose an item and click on the picture. Please click the picture below for more data on the range of Acrylic & Polycarbonate Globes we can supply in Clear and Opal (Milky White). Please note that we will also cut holes or join plates to them for an extra charge. We can glue and fabricate the globes into displays or look at any requests you have to alter them. Please click the picture below for more data on the range of Galleries we can supply. These are made of tough Polycarbonate and allow the fitting of lamp fixtures inside the globes. These galleries have slots to fit the tabs on the globes that we supply. available in Acrylic and some sizes in Polycarbonate and PETG. We also join two domes together around the equator by different methods to form a sphere. We can add holes and joints.) The "lip" or "flanges" are optional so please specify when ordering) Clear and large range of colours available. 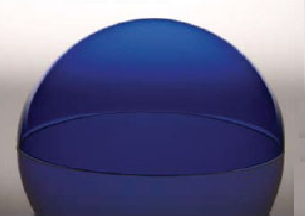 Spheres can be made from two joined semi-spheres and in many transparent or solid colours (click here for our acrylic sheet colour ranges tab). 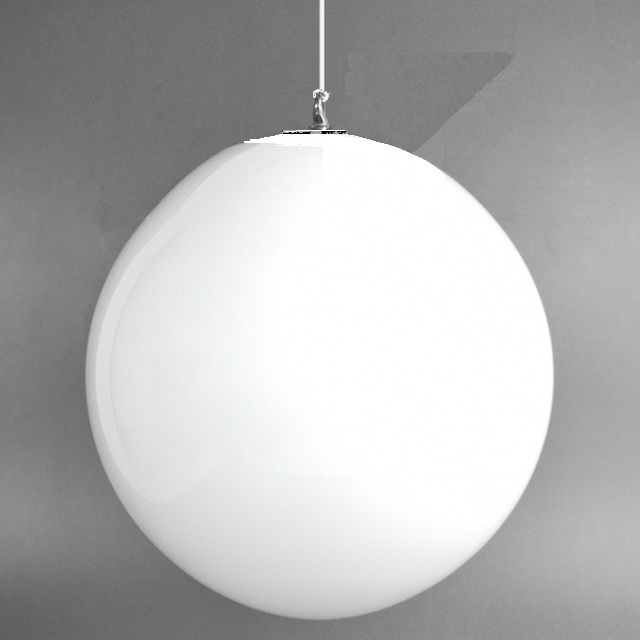 This picture shows some spherical lamp covers made from two domes ( half spheres) of dense Opal Acrylic with added hanging fitment. This photo does not show the joint but it can be visibile. 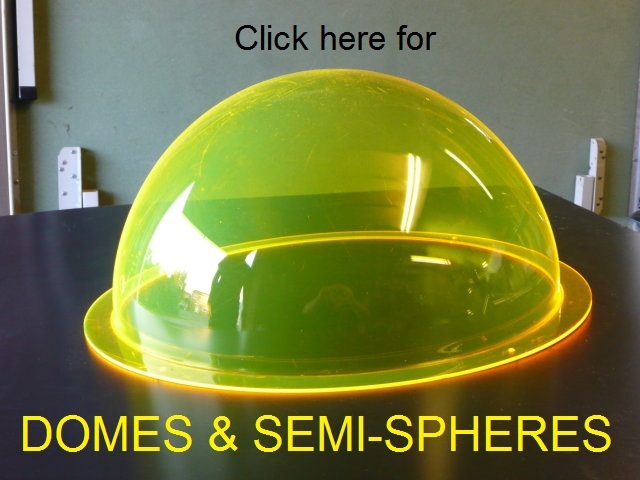 Lampcovers for houses, theatres and public buildings, domes for displays & light covers. Solid spheres for gift display etc, The application list is endless for this very useful form of plastic shape. It is as clear as glass. Polycarbonate globes are 10 times stronger than Acrylic ones and are more flame retardant and do not shatter as easily. They are strongly recommended to meet the fire regulations in public buildings. Please check with your Fire officer.